Albany is more than just a city, it’s the hub of the Capital Region and a gateway to the Northeast. The communities surrounding Albany are full of fascinating historic sites, unique arts & entertainment venues, outdoor adventures, and many more attractions. We want to introduce you to some of the areas beyond Albany that are worth the drive for visitors. Start planning your day trip from Albany here! A short drive southeast of Albany will lead you to New Lebanon, a historic farming community. Located in the beautiful Lebanon Valley, this area was historically the main spiritual home of the Shakers. The area is full of fascinating history to discover and scenic landscape to explore. We&apos;ve rounded up a few must-visit sites for tourists (& Albany locals) that are definitely worth the drive to the Lebanon Valley. 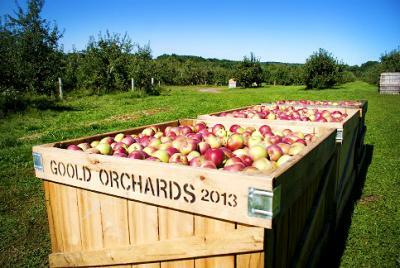 While venturing to Lebanon Valley, take a well worth-it pit stop at Goold Orchards in Castleton-on-Hudson, NY. The family farm features a charming Farm Store, Bakery and Cider Mill that are open year-round. If you stop in the Fall, wander the 100+ acre orchard to pick your own apples. Or if you visit in the Summer, pick delicious strawberries or raspberries. After exploring the farm, head over to Brookview Station Winery. You can sip on hand crafted hard cider made from apples grown at Goold Orchards, or check out the 13 varieties of wine that Brookview Station produces and bottles. A stop at Goold Orchards & Brookview Station Winery is the perfect start for your New Lebanon road trip! Located in downtown New Lebanon, the Lebanon Valley Heritage Center is a comprehensive mini-museum that showcases New Lebanon&apos;s rich and historic past. 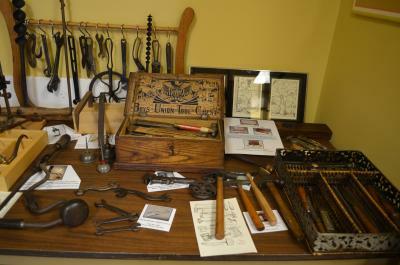 The collection on display includes an extensive collection of artifacts related to Lebanon Valley history including antique tools, historic maps and Shaker artifacts. Learn about the Mount Lebanon Shaker community, the Spa at Lebanon Springs; and the birthplace and grave of NY Gov. Samuel J. Tilden, winner of the popular vote in the disputed presidential election of 1876. The center is open on Saturdays and Sundays for visitors. Shakers first made their home right outside of Albany at what is now the Shaker Heritage Site. The society then expanded their community to a large settlement at what is now the Shaker Museum | Mount Lebanon. The Shakers at Mount Lebanon led the largest and most successful Utopian communal society in America for 160 years. The site is now designated a National Historic Landmark and a great place to explore the legacy of the Shakers. 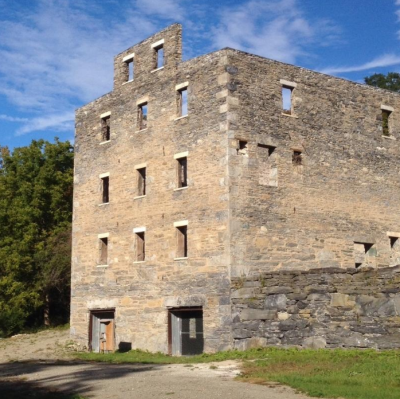 Visitors can view the world&apos;s largest stone barn that was constructed in 1859, explore 11 historic Shaker buildings on 91 acres, and discover a collection of Shaker artifacts including baskets, furniture, textiles, tools, and more. The Shaker Museum | Mount Lebanon recently absorbed the Behold! New Lebanon Living Museum programming, expanding the museum&apos;s offerings to include programs on contemporary rural American living and how that activity relates to the Shakers. This is a must-visit stop when venturing to Lebanon Valley! Looking for a place to stay in Albany? Albany is the perfect city to book your stay in when you want to explore the Lebanon Valley area. 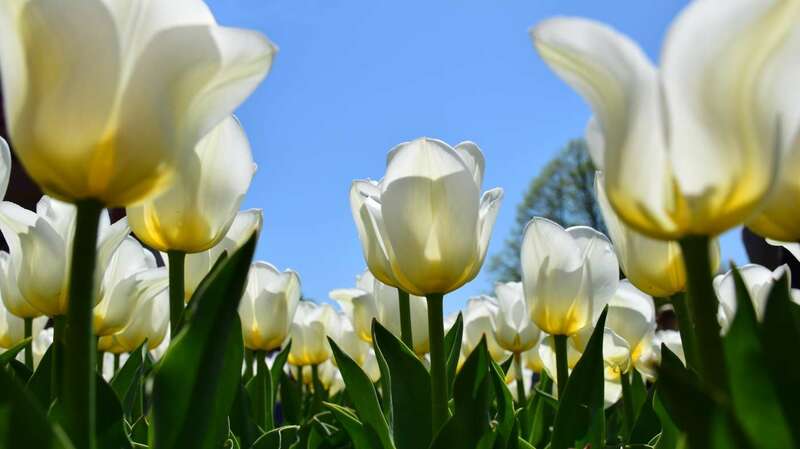 After a day of traveling or sightseeing choose to relax in a park side bed & breakfast, a full-service hotel, or a convenient motel - all of Albany County&apos;s options offer the best in comfort and hospitality. Check out Albany&apos;s downtown hotels for a place to stay! Let Albany be your hub and spoke city! Contact Director of Sales, Jay Cloutier, for assistance booking your group tour. Discover Albany partners with a variety of transportation and receptive tour operators to make your trip amazing. Find out more here. Click here to start planning your Upstate NY getaway now with a full Shaker heritage itinerary.